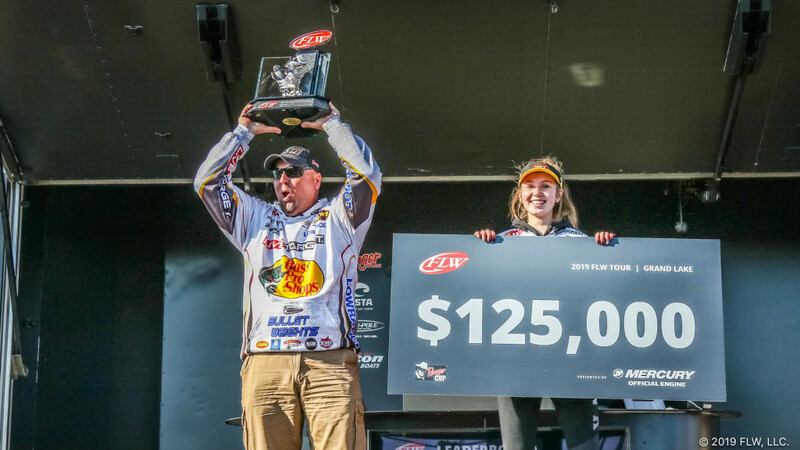 GROVE, Okla. (March 31, 2019) – The FLW Tour at Grand Lake presented by Mercury Marine promised a dramatic finish Sunday as all of the final top-10 anglers competing were within striking distance of first place and the title of Grand Lake Champion. When the scales settled, it was Bass Pro Shops pro Jeremy Lawyer of Sarcoxie, Missouri, who had caught enough weight to earn the first FLW Tour victory of his career. Lawyer’s final-day catch of five bass weighing 13 pounds, 14 ounces gave him a four-day total of 62-12 and the win via tiebreaker – the Day Three standings – over international angler Michael Matthee of Centurion, Gauteng, South Africa, who also weighed in a four-day total of 62-12, but started the day fourth place. Lawyer started the day in place and earned the win and the first place prize of $125,000.